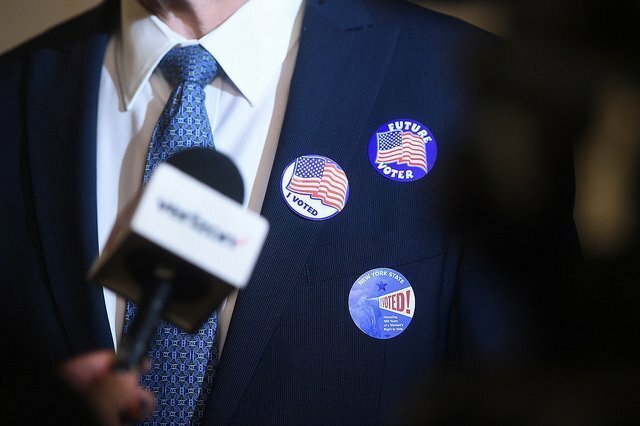 Attorney General’s Hotline Troubleshoots Range of Election Day Issues. New York, NY - November 6, 2018 - Attorney General Barbara D. Underwood reminded New Yorkers of her office’s Election Day Hotline, which is available to help troubleshoot and resolve a range of issues encountered by voters at the polls during today’s general election. The Attorney General urges voters experiencing problems or issues at the polls to call the office’s hotline at 800-771-7755 or email civil.rights@ag.ny.gov at any time between 6:00 AM and 9:00 PM today. The hotline will be staffed by attorneys and staff in the Attorney General’s Civil Right’s Bureau. Voters registered in New York City can click here to find their poll site. Voters registered in New York outside New York City can click here to find their poll site. The Attorney General’s office has operated the voter access hotline since November 2012. During previous elections, the office fielded hundreds – and sometimes thousands – of complaints from voters across the state and worked with local election officials and others to address issues. Last year, the Attorney General’s office sued and secured a consent decree with the New York City Board of Elections regarding voter registration purges. The Election Day hotline is part of the office’s ongoing effort to reduce barriers to voting. To avoid any potential conflict of interest, inquiries regarding any campaign for Attorney General will be referred to the local Board of Elections or an independent voter helpline. The office will receive and respond to election-related complaints relating to any of the statutes that the office enforces. The Attorney General’s Election Day Hotline is being coordinated by Assistant Attorneys General Conor Duffy of the Civil Rights Bureau and Mark Ladov of the Consumer Frauds & Protection Bureau, and led by Civil Rights Bureau Chief Lourdes Rosado. The Social Justice Division is led by Executive Deputy Attorney General Matthew Colangelo. Subject: LongIsland.com - Your Name sent you Article details of "A.G. Underwood Reminds New Yorkers of Election Day Hotline to Protect Voter Access During Today’s General Election"